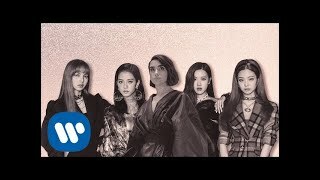 London-based singer-songwriter Dua Lipa has teamed up with K-Pop girl group BLACKPINK for a new song “Kiss and Make Up”. The song is included on "The Complete Edition", which is a super deluxe edition of her self-titled debut album. It was written by Soke, Kny factory, Billboard (producer), Chelcee Grimes, Teddy Park, Marc Vincent and Dua Lipa. This marks the first time they have worked together. "The Complete Edition" features three brand-new songs and past collaborations including Calvin Harris's UK number-one single "One Kiss". Last week, Dua Lipa appeared on Jimmy Kimmel Live, where, she performed her latest collaboration song "Electricity" with Silk City. The song is also included on the complete edition. She will appear on KIIS FM's Jingle Ball at The Forum in Inglewood on November 30th, iHeartRadio Jingle Ball 2018 at Scotiabank Arena in Toronto on December 2nd, Z100's Jingle Ball at The Garden in Manhattan on decenber 7th and 103.5 Kiss FM's Jingle Ball at Allstate Arena in Rosemont on December 12th.